Spring Bathrooms Toilet Cistern Handle Flush Lever. Repertoire and Regatta. Chrome Finish Flush Handle With White Centre. Cheese Wedge Shaped. British Made By Spring Bathrooms. Yorkshire. Offset Lever Includes Offset Washers (Internal and External) To Fix Lever On Corner Of Spring Cistern. JSL Bathroom Suites. Bradford. Yorkshire. Discontinued and Obsolete Bathroom Spare Parts and Fittings. This Cistern Lever Is For The Spring Bathrooms Cistern Models 'Regatta' and 'Repertoire' Only. White and Chrome. SPRING BATHROOMS. ANGLE EDGE CISTERN LEVER HANDLE. Repertoire and Regatta Models. Genuine Original Levers. Made In The U.K. By Spring Bathrooms. Yorkshire. 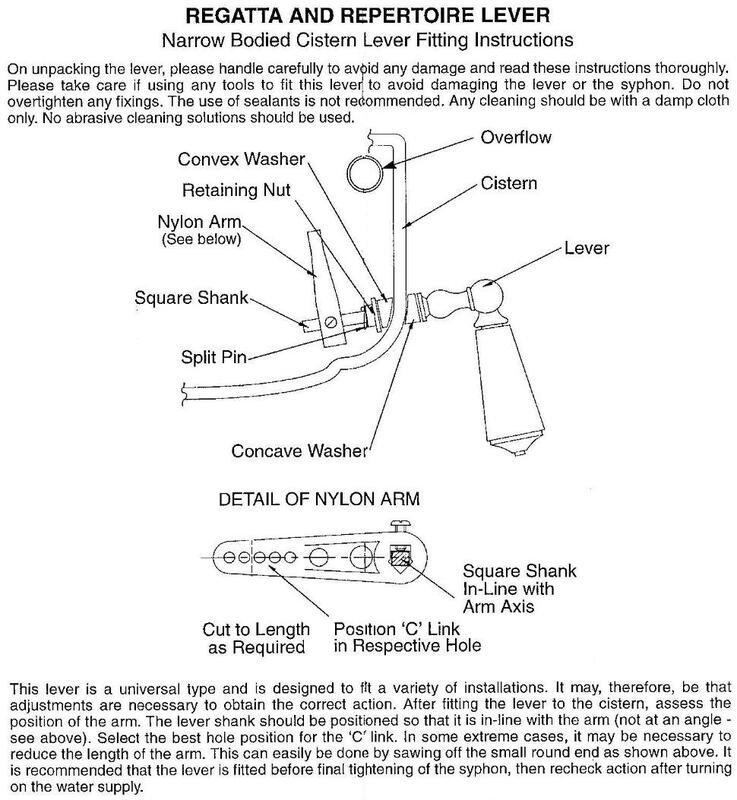 Fitting Instructions For Spring Bathrooms Flushing Lever Handle. Bathrooms Toilet Cistern Flushing Handle Lever. Chrome With White Centre and Gold With White Centre. Regatta and Repertoire Models Only. Offset corner Fixing With Washers. Spares and Replacements.